It’s the 21st century, a time when there is something called YouTube – a place where you can go on and showcase your talent and make cool bucks while at it. Folks who’ve succeeded in this line of business are called YouTube personalities and Katy DeGroot the lady who is behind the success of the channel Lustrelux gladly counts herself among these very fortunate kinds of people who just simply make money having fun in front of the cameras, doing what they so dearly love. 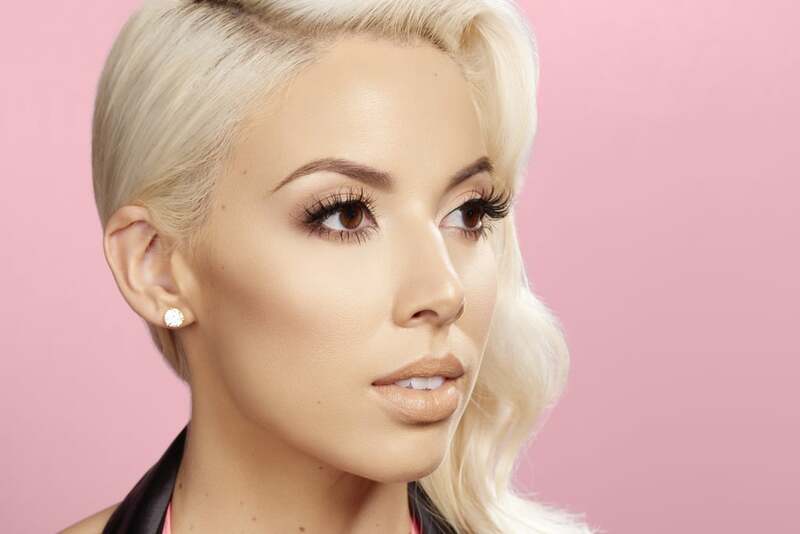 For Lustrelux, her passion is make-up, and in her words, she is overly obsessed with cosmetics and experimenting with different beauty products. The lady who’d come to be the brainchild behind Lustrelux was born as Katy DeGroot on the 9th of November 1988 in Roseville, California. It isn’t known the high school that DeGroot attended, however, it is no news to the media that the beauty guru attended Sonoma State University, a public comprehensive university in Rohnert Park, California. She attended the college from 2007 to 2010, graduating with a bachelor’s degree in business administration. Lustrelux has always been obsessed with make-up and has mostly worked in jobs that were related to cosmetics, her LinkedIn profile reveals. Her resume has it that in 2011, she worked as a Keyholder for a certain Bare Ecsentuals in Berkley. She spent less than a year on the job where she handled almost everything from leading the team of make-up artists to hosting after hour parties to satisfy their preferred clients. She’d left to begin working at Target as the Executive Team Leader Hardlines. Her LinkedIn profile also reveals that Katy has a 9-month experience working as a Merchandise Planning Assistant at SEPHORA in San Fransisco, California and also worked as a stylist for Ipsy. Lustrelux became interested in starting a YouTube channel in 2014 and as the story goes, her interest was born out of her desire to do something with her life after she left her previous job. She started her YouTube channel named ‘Katy’ on the 25th of January 2014 and began by posting random videos about anything make-up related. Fortunately, many resonated with her style and her channel began to gain huge traction from thousands to hundreds of thousands and eventually millions. Her Katy channel now boasts of over 2 million subscribers and over 145 million views. Her video “Bronzey Smokey Eye Tutorial: My Wedding Makeup” where she gave a detailed tutorial on the make-up she did on her wedding day is among her most watched videos with over a million views. In the wake of her internet fame, a couple of top beauty brands, including Maybelline, have collaborated with her. Lustrelux has remained rather privy when it comes to details about her family, however, her mom and her brother have featured in a couple of her videos. Before her leap into fame via YouTube, Katy DeGroot was already a married woman. She married a certain Jon in 2013. Jon whose personality appears to be introverted is also a very private person. However, from a couple of his Instagram posts, it can be deduced that Jon is most likely a music producer/sound mixer/beat maker. • Katy and her husband were once semi-stalked by a census worker. The worker, who is a lady, had been to their house and held a two-hour interview with them, after which she returned uninvited at non-working times to just hang around the house. • Her favorite fragrances include; Alien Mugler, Carolina Herrara’s Good Girl, and Burberry. • Lustrelux and her husband, Jon, are on a Keto diet. • She is best friends with fellow YouTube beauty guru, Desi Perkins and together they launched their Bestie Bundle collection in collaboration with Maybelline. It sold for $25.97 each. • In 2018, Lustrelux and bestie, Desi Perkins, held a Maybelline MasterClass — where they unveiled their highly anticipated Bestie Bundle. • Lustrelux and Desi Perkins in 2017 revealed that they are working on a beauty a line together that would be called #DESIXKATY. • In addition to YouTube, Lustrelux is also popular on Instagram which serves as an extension of her channel. She boasts at least 2 million followers on the platform. • Lustrelux is estimated to have a net worth of $400,000 thanks to her thriving social media business. It is estimated that she earns not less than $55,000 yearly from YouTube ads. • Katy and her husband had their master bedroom in their new house remodeled by LOWE’S.